A detailed analysis of US spending, however, raised questions about how much of those funds were truly necessary to hold elections, and how much simply served to enrich foreign organizations. As per University of Virginia professor Robert Fatton, the desire of the U.S to withdraw $2 million from the 'election basket' might be a sign that it is prepared to delegitimize the forthcoming elections if the results do not coincide with its interests. Here is a picture of Yves Romain Bastien, Minister of Economy and Finance. 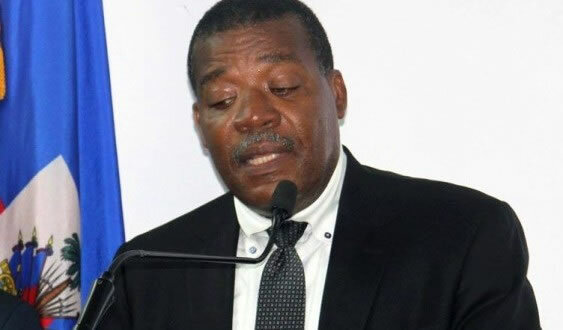 Yves Romain Bastien will be in charge of two ministries. He will serve as the Minister of Economy and Finance and Minister of Agriculture, Natural Resources and Rural Development (temporarily). 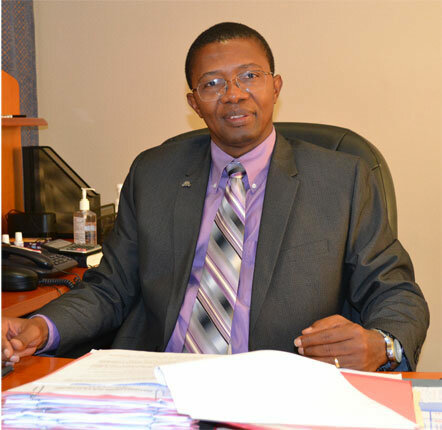 Under Martelly administration, he had served as the Coordinator of the Public Enterprise Modernization Council (CMEP). During the presidency of Rene Préval, Romain Bastien assisted the president in the sale of public enterprises to the representatives of the Bourdon Group. In 1979, fearing an attack of the African Swine Fever, the Haitian Government was convinced by the United States Agency for International Development (USAID) to eradicate their entire stock of Creole pigs. In a move that many say showed the Government's woeful disconnect from matters affecting the peasantry in Haiti, the pigs, which had taken on the role of investments for the poor, were eradicated and replaced by an American stock that never did acclimate to Haitian living. 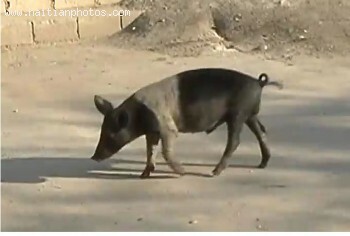 Here is a picture of the Creole Pig. 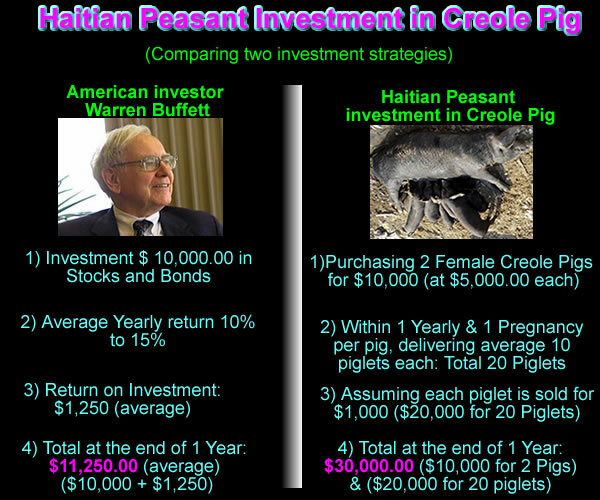 the Haitian pigs was the way that most Haitian farmers invest for tomorrow. Considered as a an investment, these pigs would be sold to send children to school, pay for wedding or funerals. Because maintenance was low, it was easy for a family to have a few Creole pigs in the neighborhood until the need arises to sell them. 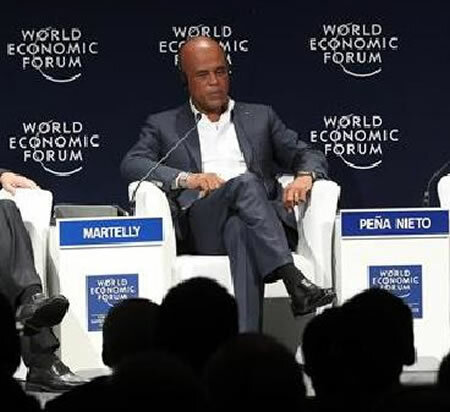 On Thursday, May 7, 2015, President Martelly, accompanied by the Minister of Economy and Finance and the Minister of Trade and Industry, visited a forum on the 10th World Economic Forum on Latin America, at the Hotel Quintana Roo in Mexico. He took the opportunity to present many business and investment openings offered by Haiti to the overseas investors. He spoke before a panel composed of important dignitaries like Presidents Enrique Pena Nieto (Mexico), Juan Carlos Varela Rodriguez (Panama) and of Klaus Schwab, Executive Director of the World Economic Forum. President Martelly assured his audience with information about the unique satisfactory investment environment and its infrastructure in Haiti. Outside the forum, he also had some other bilateral meetings including with the President of the National Institute of Entrepreneurs of Mexico and the Director General of small business of this institution (INADEM). In Haiti, Marc Louis Bazin has somewhat of a reputation of being always the bridesmaid. He's been in the race for President of the country many times for nearly a quarter of a century but has yet to achieve the post. 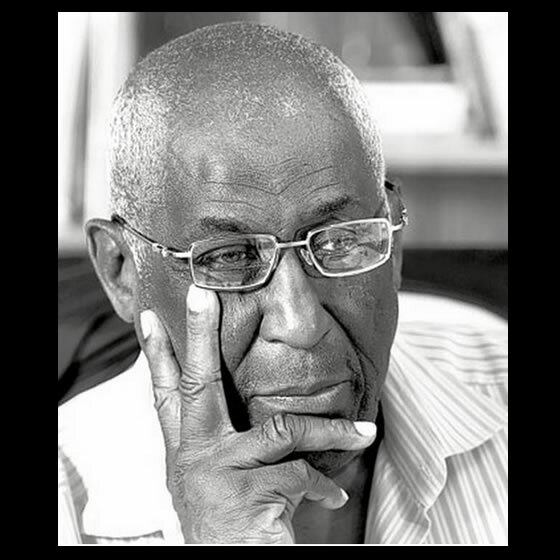 Despite this, Bazin is a well-respected figure in Haitian society and built a reputation even greater for being very vocal against the corruption of the Duvalier regime. 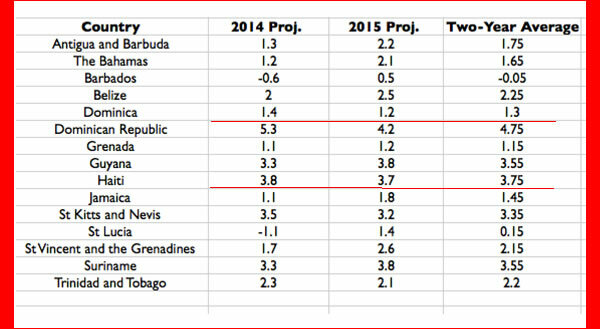 Looking at his track record, the one-time development economist for the World Bank turned finance and economy minister has forged a trail few others have, being one of the only almost permanent fixtures on the Haitian political scene. 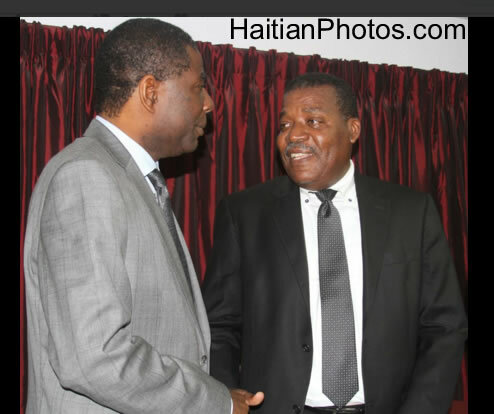 He ran for president first after returning from the exile imposed on him by his prime minister, Jean-Claude Duvalier. At the time he seemed in the perfect spot for the win, having been exiled by the despotic ruler after he publicly criticized the corruption of the administration. 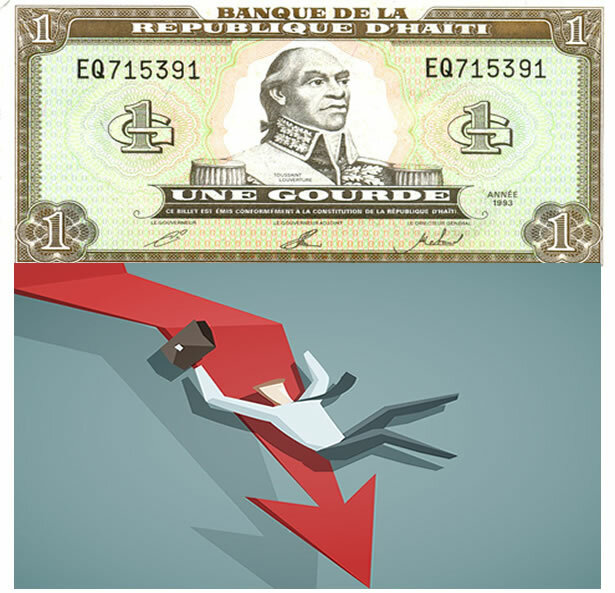 Despite recent news that the value of the Haitian gourde was depreciating at a rapid rate, Governor of the Central Bank, Charles Castel, remains convinced that the dollar will not touch 50 gourdes by the end of 2014, though the month is still young, and the dollar is already at 47 gourdes. His reason for thinking this is that December and the season represent a time when foreign remittances will be high. Apart from certain steps being taken by the bank to stop the process, the call has gone out for a ramp up in the production of local goods to reduce the import bill. 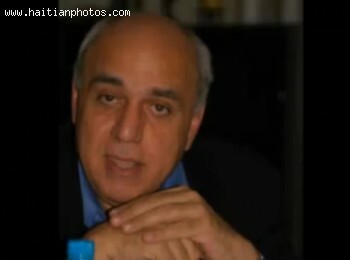 Here is a picture of the president of Chamber of Commerce and industry in haiti, Mr. R ginald Boulos.